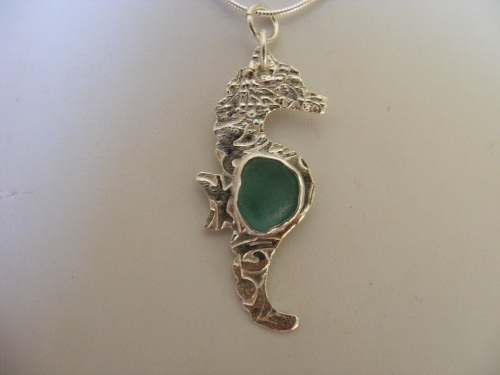 Sweet little seahorse made with sterling silver and authentic seaglass. The seahorse has a printed background and the seaglass is a beautiful rare teal color. Piece measures 1 1/2" long by 3/4" wide. Comes with a sterling silver snake chain.